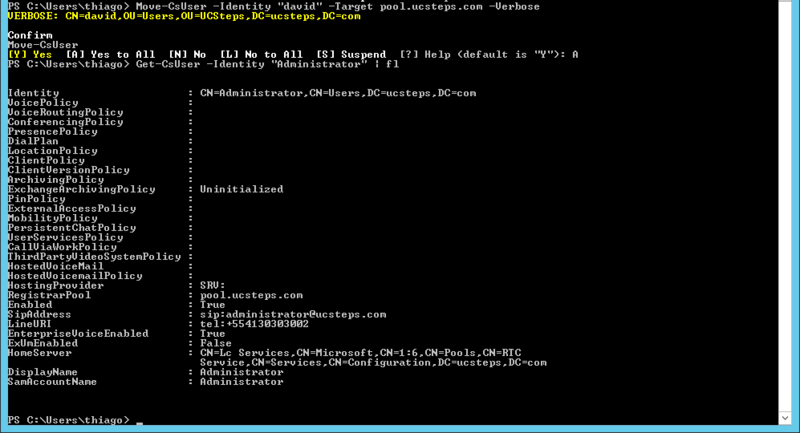 Check if the name of the pool is resolved by your DNS. If yes, Open the Skype for Business Server 2015 Control Panel or access through Internet Explorer. Select the pool that you want to connect. In the first, I connected through poollync, my pool of Lync Server 2013. Note, in the top, is the Skype for Business Server 2015. 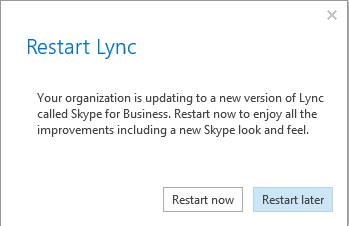 Now, I connected in my Skype for Business Server 2015 pool. Nice, check the registrar pool. To the client, the info will be displayed. If you have the latest updates of Lync Server 2013, you can enable the SkypeUI for the clients. If you try open the Lync Topology Builder, you won’t be able. It happens, because you already have a newest version of the topology builder. Ok, now check the replication. 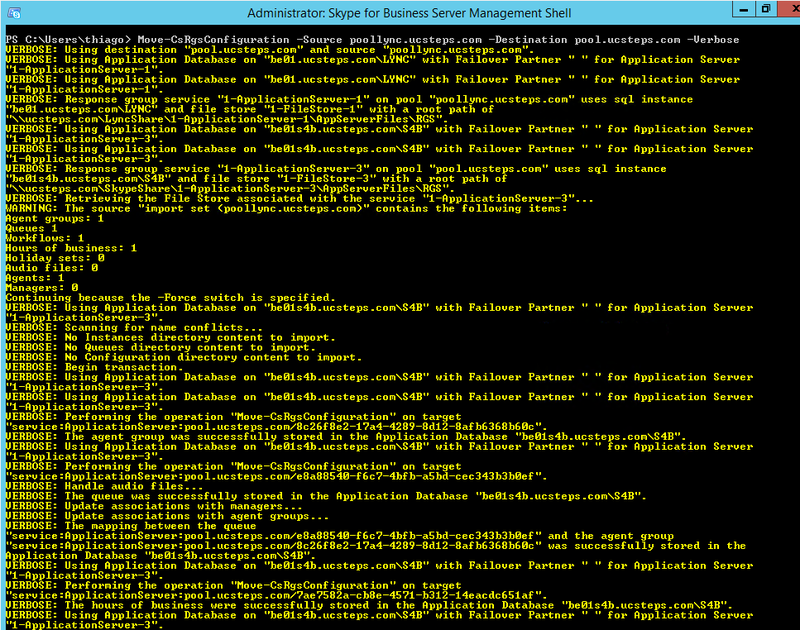 Let’s move by Skype for Business Server Management Shell. Wow, is too long…. You can also include -Verbose to have a detailed information. You need also move Call Park. Also, we need move the RGS, Queue and Groups. Before you start deleting, make sure that you have a valid backup. You can start delete the least critical group to test to continuous. If all is works fine you can proceed with responsibility and care. Try call to the new RGS. So, normalization rules. Now Skype for business have a new kind of set the address book. Bellow, the official link about Address Book Normalization Configuration. Check the Join using legacy client. 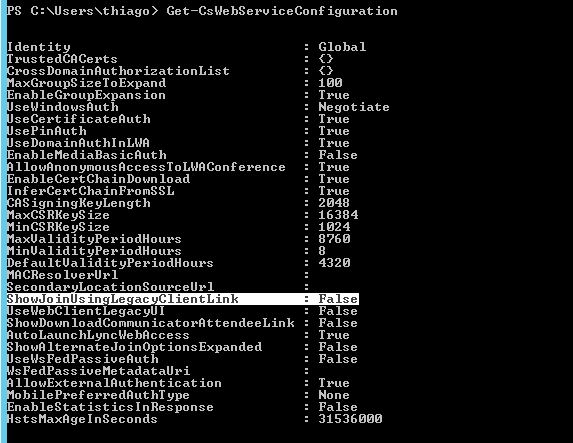 Conference directories exists to maintain a link between the meeting conference ID and the numeric-only conference ID’s that participant uses to join to the dial-in conference. With multiples conference directories, you will ensure that the meeting conference ID will maintain short. However, once the number of conference directories exceed 9, the Conference ID number will grow to support additional conferences. Is time to move the Conference Directory.